Several years after tragically losing his son in an all-too-familiar school shooting, Sam discovers a box of demo tapes and a notebook full of lyrics. The revelation of his son's unknown talent drives him to perform one of the songs at an open-mic night. What was supposed to be an act of catharsis sets in motion a series of events that ends with him reluctantly agreeing to start a band with a quirky young man named Quentin. 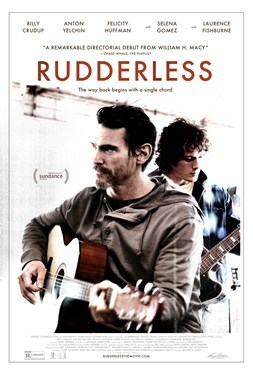 As weeks turn into months and practices turn into gigs, the band, 'Rudderless,' begins to gel. With each performance it seems Sam has found the catalyst he needs to move on with his life. He revels in the opportunity to do things for Quentin that he never did for his own son. He swells with pride over the prospect of completing Josh's musical journey. Unfortunately, it doesn't take long for his illusion of a second chance to begin to crumble.